I originally met Prashant Puri (CEO & Co-Founder) and Johnny Shami (VP, Business Development) at Search Insider Summit. I was immediately impressed and have stayed in close contact with these guys ever since. 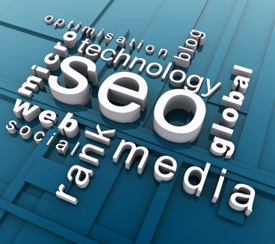 They are true experts in SEO (search engine optimization), based here in Silicon Valley. 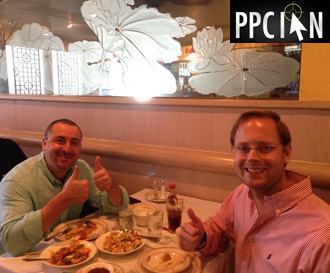 Last week, Johnny and I went to Chef Chu’s in Los Altos, a tradition for our PPC Ian : AdLift networking lunches. I’m a big fan of Chef Chu’s, some of the best Chinese food around, with a truly healthy and fresh perspective. I ordered the cashew chicken lunch special, and will be going back again very soon (it’s delicious and healthy). Do you work long hours? Are you busy? Prashant, Johnny, and I are for sure. 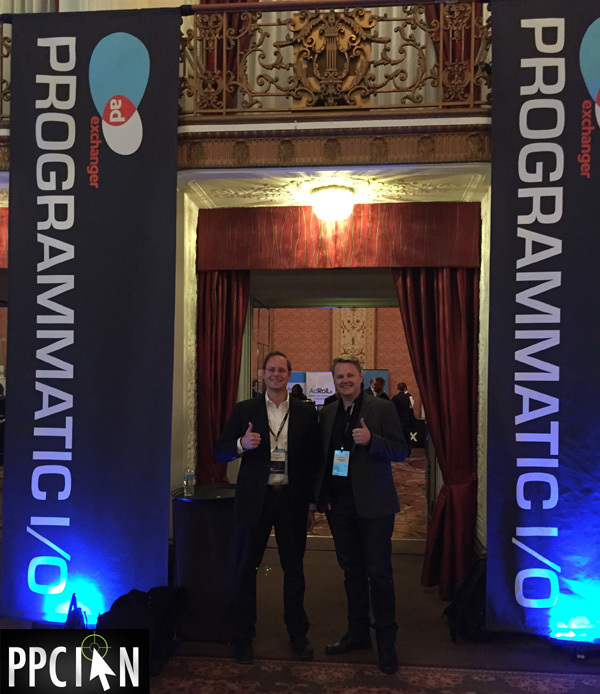 Prashant is busy traveling the globe, growing AdLift’s business at warp speed. Johnny and I worked for weeks (actually months) trying to find a date that would work. I think we had to reschedule at least 5 times. However, we made it happen! (It’s all about determination and not giving up, especially when it comes to something as important as networking.) I cannot say enough about the power of important friendships with the best-of-the-best in digital marketing (or your profession of choice). It’s all about the people. My career advice for the week: Build out your network and make these types of lunches happen! See how you can add value. Help your friends out as much as possible, and make a positive impact. It’s all about building great friendships and seeing how you can add value! I have personally built my career with a friendship and service-oriented perspective. I am amazed every single day at the opportunities that come my way thanks to hard work, giving back, and collaborating with great people. About a month ago, I attended and spoke at Search Insider Summit. At this amazing conference, I had the pleasure of meeting Prashant Puri (CEO & Co-Founder) and Johnny Shami (Director, Business Development) from AdLift. What is AdLift? It’s one of the best SEO Agencies ever! Based in Palo Alto, AdLift is right in the heart of Silicon Valley and manages SEO campaigns for some of the biggest, most savvy brands around. 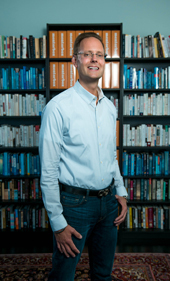 Today, I had the honor of contributing a guest post to the AdLift blog. Given their SEO expertise, I thought it fitting to write a post about the intersection of SEO and PPC. In particular, I wrote SEO Tips From A PPC Pro. My post highlights 7 SEO tips that leverage intelligence/collaboration with your PPC program. Looking at it from a paid search perspective, this post offers 7 ways in which you can help out your SEO team. There are so many ways in which SEO and PPC teams can collaborate. Head on over to AdLift today and check out my post. I hope you enjoy! 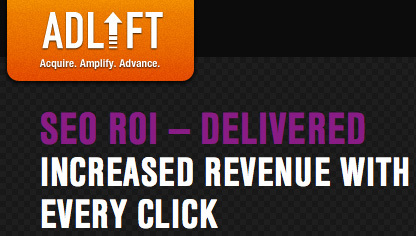 If you are looking for an SEO agency, I highly, highly recommend chatting with AdLift. They are true experts! When it comes to optimizing your website’s organic ranking, quality dofollow inbound links are of paramount importance. It makes perfect sense: Each inbound link counts as a “vote” for your site in the eyes of the search engines. I’ve gone to great lengths building inbound links for PPC Ian. My three tiered approach focuses on PR that drives SEO, guest interviews, and social media profiles. Today, I’m going to talk about one of the top social media profile opportunities: YouTube. In short, it’s mandatory to have a YouTube channel for each and every one of your websites, even if it’s a five page minisite. 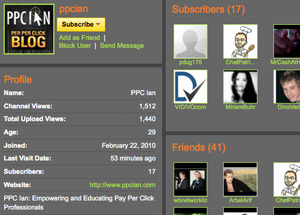 Check out the screen shot of my PPC Ian YouTube channel to the right. As you can see, the profile section has a link to my blog. When you view the source code of my YouTube channel you can actually see that it’s a real dofollow link. In my opinion, this is a really valuable link because it’s coming from one of the most popular websites on the Internet, one that’s owned by Google. Of course, as you build out your YouTube channel and your videos get a lot of views, your link will carry even more weight. In an environment where it’s sometimes difficult to get high quality inbound links, this is truly an opportunity you cannot pass by! I currently own over 80 active web properties. 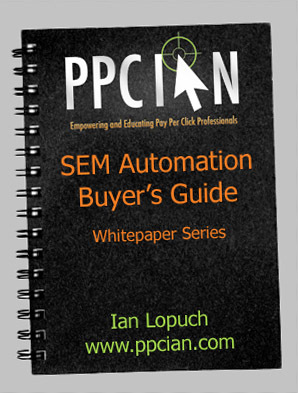 They range from large authority sites, like PPC Ian, to small five page minisites. If you’re operating an authority website, you’ve probably already have a YouTube channel. (If you don’t, drop everything and go start one now!) However, I’m here today to argue that you should create YouTube channels even for your smaller sites. Even if your site is only five pages, this is an amazing way to market your website while driving SEO value. If you have a YouTube channel, you probably know just how much time it takes to shoot, produce, and upload videos! It’s really time consuming. So, you might be a little intimidated to create YouTube channels for all of your long tail websites. It’s actually easier than you may think thanks to a new website called Fiverr. Fiverr is basically a marketplace where you can get anything done for $5. Many sellers on Fiverr are amazing at quality, entertaining video. (Some are also really low quality so you’ll want to run a few tests to find the best people to work with.) I’ve personally leveraged Fiverr extensively for video introductions and testimonials for my SEO websites. If it’s not one of my core properties, I go to Fiverr to get videos so I’m able to create a YouTube channel while saving my personal time for my larger websites. Now, you may be thinking: Why don’t I just create a YouTube channel without any videos? While this is possible, I don’t recommend it. Just think about it, what’s a channel with no videos? It really adds no value. I’m all about avoiding stuff that adds no value because it will always catch up with you (and I’m all about doing the right thing). If you’re going to create a YouTube channel, make it something useful. With Fiverr you can build out a high quality YouTube channel with a great video for only $5 and about 1/2 hour of your time. As a closing tip, I also encourage you to embed your videos on your sites. Video adds substantial value to any website. Search engines like websites that have videos! 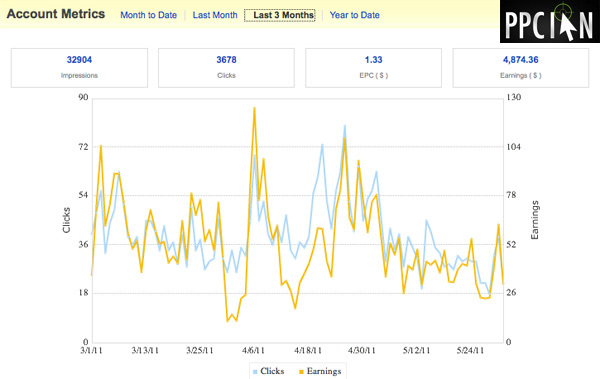 When it comes to building the SEO ranking of PPC Ian, I’ve been working really hard on multiple fronts. Some of my strategies include great on-page SEO, tons of in-depth blog posts, link building by getting on the blogrolls of my friends, and link building via article marketing. However, there’s one specific strategy that’s added a disproportional amount of value that I’d like to discuss today: Making a concentrated effort on PR. That’s right, I’ve established great relationships with the online marketing community. These relationships have turned into interviews and guest reviews that have provided great exposure (and inbound links) to PPC Ian. I’ve been in the press quite a bit lately! As you may know, I’m a huge fan of Epik and wrote a few posts about Epik recently including an overview of my Epik Product Portals and my Epik Development Tips. These posts got quite a few comments and started getting some major buzz in the domaining world. 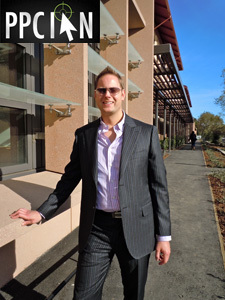 They provided the perfect opportunity to connect with Owen Frager from one of the most famous domaining blogs on the Internet, The Frager Factor. First Owen featured my 45 Epik Product Portals and then I Got Interviewed on The Frager Factor. The interview was a true honor. Owen Frager is one of the most famous bloggers on the Internet and his posts drove quite a few new readers to PPC Ian and also some serious SEO link juice. I’ve also had success over the last few months with some other great PPC Ian reviews and interviews including: D3so and Dino Vedo. Excitingly, I also just interviewed Dino Vedo myself. Also, if you’ve been reading PPC Ian for a long time, you may also know that I got featured on some other really big blogs: John Chow, Jonathan Volk, Teen Domainer, and ZK’s Web Traffic ROI. First and foremost, big PR hits drive substantial traffic and new readers. Each time I got featured on one of the blogs above, my RSS subscribers and eBook subscribers grew considerably. Moreover, I started getting comments from new people! In short, an strong mention on a big blog (within your industry) will drive great results. It’s said that blogs can drive even better quality traffic than paid search. It makes sense: Loyal readers will trust and follow the recommendations of bloggers. Second, big PR hits drive link juice. We all know how important inbound links are when it comes to SEO and your blog’s ranking within search engines. When you get interviewed or reviewed on a major blog, the links within the posts add a lot of value. They are in-context links that are trusted by search engines. It makes perfect sense to me: Search engines trust sites that are well respected in their niche. How do you prove to search engines that you’re part of the community? You get quality in-context links from high profile sites in your niche. So, How Do You Get Featured On Major Blogs? So, you’re convinced and want to make PR a part of your personal SEO strategy. Great choice! When it comes to getting featured on top blogs, I have a few suggestions. First and foremost, you’ll want to start commenting on major blogs, and become a top commentator. You’ll want to read about my blog commenting strategy. Second, I recommend writing great, quality posts on your blog that make others look good. When you promote products and blogs you believe in, it will often come back to you in the form of a positive review. Third, I recommend doing reciprocal guest interviews. Basically, you interview another blogger and they interview you too! It’s an easy and effective way for both of you to increase your PR and SEO. Last, I recommend building out an incredible network by going to conferences in your industry. The stronger your offline, in-person network, the more opportunities you will have to get featured online! If you’ve read my last two posts about my Epik product portal websites and my Epik development tips, you know I’ve been building out quite the portfolio of niche websites. Just last week, I acquired 5 more Epik product portals at a deep discount because they’re offering a 35 percent discount holiday special on websites listed in the Epik store. In parallel to all of this great Epik development, I have been working closely with my friend, and domain industry guru, Morgan Linton from Linton Investments to develop custom niche websites across many services and finance oriented verticals. In fact, Morgan has developed over 25 websites for me so far this year and I couldn’t be happier with the results! I’m on a roll with my niche websites because of the leverage I’m achieving through smart partnerships, and will soon have over 100 active sites. As I keep developing more and more sites, I have been learning some really great SEO strategies. Today, I’d like to share just three of these SEO tips with you to help you take your own niche sites to the next level! As someone with a portfolio of nearly 200 domain names, I’m a huge proponent of exact match domains especially with the dot com and dot net TLDs. It’s simple: If you have the exact match domain name, search engines will give your domain priority. Sure, you still have to work super hard in building out a great site, optimizing on-page SEO, and building quality inbound links (off-page SEO). However, we’re all looking for advantages over fierce competition these days and the exact match domain gives you that secret advantage! At this time, I’m really only building out exact match domains. Most of them are non-hyphenated domains, but from time to time I’ll go after hyphenated dot com domains such as Cheap-Desk.com. Now, even if search engines change their algorithm and give no advantage to exact match domains (not likely in my opinion), I’m here to say that exact match domains have another benefit: They attract amazing anchor text associated with inbound links! Just think about it: When someone links to my site PetiteJacket.net, what anchor text are they likely to use? You guessed it, Petite Jacket. Over the years, I’ve gotten very far with my on-page SEO strategy. You’d be surprised: Smart on-page SEO and especially internal link structure can get you amazing results in search engines. As I built out my niche sites, I’ve made it a point of using great internal linking to show search engines which terms are most important to my site. As a simple example, my article about buying a motorbike jacket links back to the homepage of my site with anchor text Motorbike Jacket. Even on the very homepage of this site, I link back to the homepage (in the top blurb) with the same anchor text. Now, you don’t want to go crazy, but a few smart internal links with appropriate anchor text can get you very far. Another tip: Never link back to your homepage with the anchor text "Home". Instead, use the name of your site. Of course, if you are leveraging an exact match domain name, the name of your site will be a highly desired term (this is why the exact match domain strategy makes so much sense). While my first two tips are all about on-page SEO strategies, my final tip for today is an off-page one. All sites require inbound links to get recognized by search engines. It’s rare these days that you’ll rank well without at least a few inbound links (although this can happen with the right exact match domain name). However, it also doesn’t take all that much to start ranking a strong domain name. Recently, I have been having a ton of success with Tumblr, 350.com, Live Journal, and Yola. These are all great platforms that allow you to create accounts which can add great value to the user while linking back to your niche site. Just remember to post good stuff on your social media accounts, they’re an extension of your brand. So, there you have it: Three simple SEO tips that provide great leverage with minimal work!